Space pirate Aston West has come across derelict freighters many times before. But this latest catch, fresh out of a recent battle, proves to be a little more than he expected. He can’t fight the urge to pilfer a valuable cache of illegal contraband, but discovers one last stowaway who tries to kill Aston. Attack craft return to finish the ship off and Aston has no choice but to save her from certain destruction. Who is she? What was this cargo he just took? Why was the freighter destroyed? Surrounded by a host of old friends, new acquaintances, and desperate enemies, Aston travels from one system to another, getting the answers he wants, but revealing even more questions, and putting his life motto of never getting involved to the ultimate test. 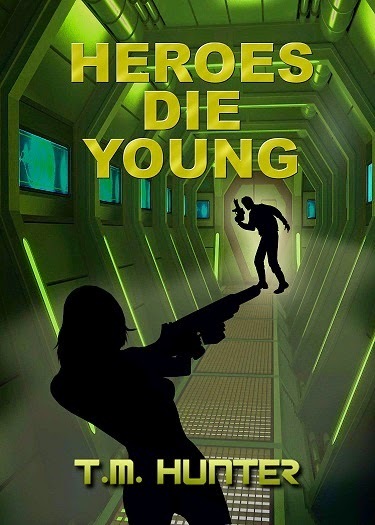 Climaxing in an ending for which even Aston is not prepared, the story will have you gasping for breath, and desperate to find out if heroes truly do die young.